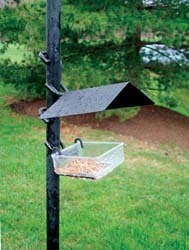 Made of durable, powder-coated steel, these baffles feature a tapered design that is very effective in stopping squirrels before they reach your feeders. 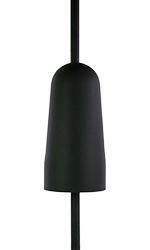 The baffle collar needed to pole mount this item is included. 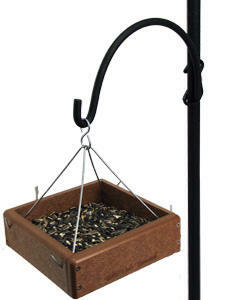 Having trouble with rascal raccoons getting into your bird feeders? 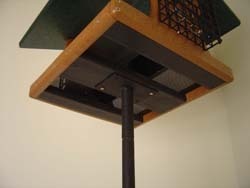 The long, cylindrical design of our Raccoon Baffle specializes in deterring raccoons from reaching your feeders. This baffle can be mounted to fit our Advanced Pole System® (APS) and is available in a durable black powder-coated finish. The baffle collar needed to pole mount this item is included. 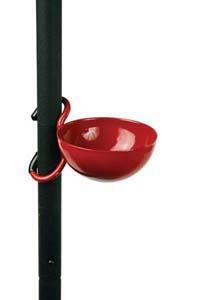 Add anything from a flange to mount your hopper, tube or WBU hummingbird feeder, to another hook, or a decorative branch. The possibilities are ENDLESS! No matter if you want to serve mealworms or Bark Butter® Bits, the APS® Side Dish feeder is the one for you! Designed with the EZ attach, the side dish feeder goes on in a snap. Attach anywhere to your APS® and fill with food of your choice. When used in combination with the optional Weather Roof the side dish feeder can go from spring-winter no matter what the weather! 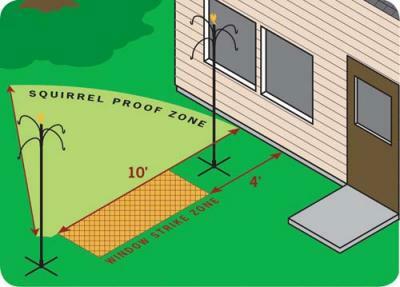 Are you having trouble seeing your feeder setup from inside your home? Maybe all you need is an APS® extension pole. 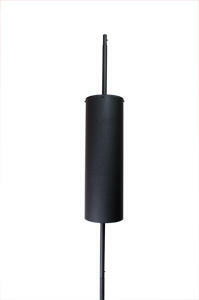 Ranging in size from 12" to 4' we are sure to have an APS® extension pole thats the right size for your needs. 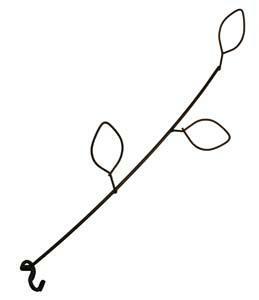 Capable of holding up to 10 lbs, our EZ-Attach Decorative Single Crook Arm allows you to elegantly add a bird feeder, planter or other item to your Advanced Pole System® (APS) setup. The black powder coat finish matches the look of our original APS®, and our EZ-Attach design makes adding accessories to an APS® setup a snap. Just slip the EZ-Attach unit on an extension pole and pull down. 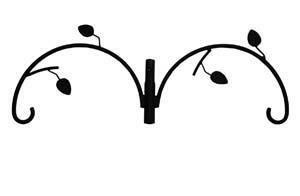 Our Double Crook Arm allows you to add more bird feeders to your Advanced Pole System® (APS) bird feeding setup. 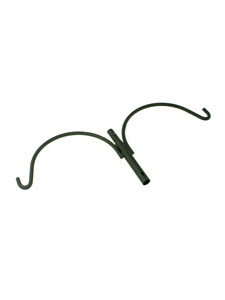 Ideal for hanging tube feeders or other hanging feeders, this Double Crook Arm is swaged to fit perfectly on top of our APS® Base Pole or any of our Extension Poles. 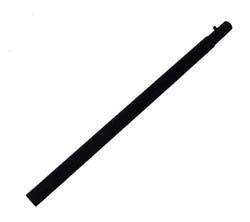 (With swaging, one section of the pole is smaller in diameter so that it slides into the larger section. Swaging will also keep water from running into the pole.) 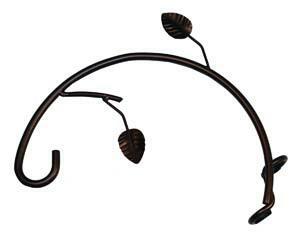 Add a Double Crook Arm to your setup and add to your ability to attract more birds to your backyard. 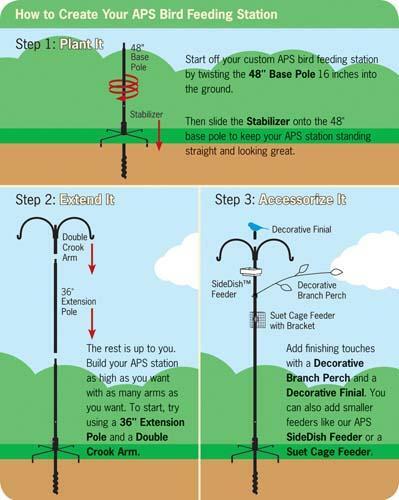 When you add this Double Crook Arm to your Advanced Pole System® (APS) bird feeding station, you not only get the ability to hang additional bird feeders, but you also add flexibility to your setup without adding height. Ideal for hanging tube feeders or other hanging feeders, the Double Crook Arm's thumbscrew allows you to place the extra arm anywhere on the setup. Simply add the Double Crook Arm to your bird feeding station and tighten the thumbscrew. The Stabilizer is the secret to the Advanced Pole System® looking great and standing straight. Just slip the two-piece Stabilizer onto the pole, push them into the ground, tighten the thumbscrew, and you’ll have a bird feeder mounting/hanging system that will stand straight for years. These delightful pole toppers not only make your APS® look nice, they keep the rain from building up in the center of your pole which can cause rust.